Hmmmm.. Whats going on here?? These pages are still under construction. Sorry for the inconvenience. We're in the middle of moving to a new web site host! Just so you know, we repair all major home appliances! Washing Machines, Dryers, Ovens Stoves and Ranges, Refrigerators and Freezers, Dishwashers, Vents, and Microwaves! Give us a call for all your home appliance repair needs today! Is your Wine Cabinet not holding temp? Do the temps fluctuate with no explanation? Does your Wine Cooler not cool at all? Whatever your Wine Cooler Problem may be, we can repair it! We've been repairing Wine Coolers and Appliances in the Coachella Valley for 30 years now! We're Appliance Angels Appliance and Refrigeration Repair of Palm Desert! Call us Today for all of your Wine Cooler Repair needs! We're Palm Deserts' Ice Machine Repair Experts! We repair Ice Machines, undercounter and built in. Has your Under-counter Ice Machine become an Undercounter Water Tank? Are your cubes getting smaller and smaller with every harvest? Are your ice cubes irregular and/or odd? Has your Ice Machine started making weird, loud, or strange noises? Has your Ice Machine just Stopped making Ice? We encounter all these problems on a daily basis, being Palm Deserts Ice Machine Repair Experts and All. We repair almost all major brands of Undercounter and Built In Ice Machines. U-Line, Kitchen Aid, Scotsman, Manitowoc, Sub Zero and more! We repair all Ice Machine Issues. From the Simple to the Advanced and High Tech. Sealed system repair, Harvest Control Issues, Water Inlet and Drain Issues, Main Control Board Diagnostics and repair, we handle it all! We're a Family owned smaller Independent Refrigeration Repair and Service Company that's been repairing Ice Machines and more in the Coachella Valley for over 30 years now. Our rates are competitive. And our breadth of experience can easily be claimed to be unmatched. La Quinta, Indio, Rancho Mirage, and the entire Coachella Valley. We're Palm Desert's High Tech Washer Repair Experts! Does your Washer make a weird grinding noise when its agitating or spinning? Is your Washing Machine leaking water all over your floor? Does your Washer have a burning smell coming from it while its running? Does your washing Machine sound like a Jet at take off during spin cycle? Does your Washing Machine fill with water and then not agitate or drain? Does your Washer not even turn on? Make strange Beeps and Noises? Spit out Cryptic Error Codes in Machine Language ? We encounter All of These problems on a Regular basis! If your experiencing these problems, give us a call to schedule a home visit today! We Repair All Brands Of Washing Machines! We're the best kept Secret in Coachella Valley Appliance Repair! We're a Family owned smaller Independent Appliance Repair and Service Company that's been doing business in the Coachella Valley for 20 years now. Our service call is one of the lowest if not the lowest in the Valley. We don't subscribe to Pricing and Marketing Trickery. We're Honest and Professional. And our breadth of experience can be easily claimed to be unmatched. We repair Washing Machines and more in Palm Desert, Indian Wells, Cathedral City,La Quinta, Indio, Rancho Mirage, and the entire Coachella Valley. Is your Refrigerator not getting cold? Is your Freezer Cold, but your Refrigerator luke warm? Is your Refrigerator making a weird, loud, or scary noise? Is your Refrigerator leaking water all over the floor? Is your Refrigerator Ice Maker not making Ice? Then give us a call to schedule a service call today! We're Appliance Angels Refrigerator and Appliance Repair Service of Palm Desert California! We provide Refrigerator Repair and Appliance Repair Services for Palm Desert, Indian Wells, Rancho Mirage, Cathedral City, La Quinta, Palm Springs and the entire Coachella Valley! Call us as soon as possible for answers to your Refrigeration Repair Problems! We Repair leaking sealed Refrigeration Systems! Condenser Coils, Evaporator Coils, you name it! We Repair Refrigerator Compressor Problems! Are the Burners on your Cooktop not lighting? Does your Oven not turn on all of the sudden after a self cleaning cycle? Has the touch pad stopped responding to key presses and now is giving cryptic error codes in mysterious sequences? Does your Oven take FOREVER to bake something? Is the oven just not getting hot? Do the burners on your stop keep trying to light on their own? Or not light at all? We're Oven Range and Cooktop repair Specialists! We repair almost all Major Brands of Ranges, Ovens and Cooktops.Free standing or built in, we cover them all. 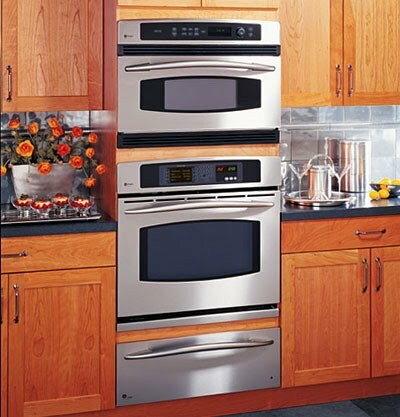 We're Appliance Angels Appliance Repair Service of Palm Desert. We provide Stove, Oven, Range, Cooktop and Appliance Repair Services for Palm Desert, Indian Wells, La Quinta, Cathedral City, Rancho Mirage, Indio, and the rest of the Coachella Valley. Call us to schedule a service call Today!